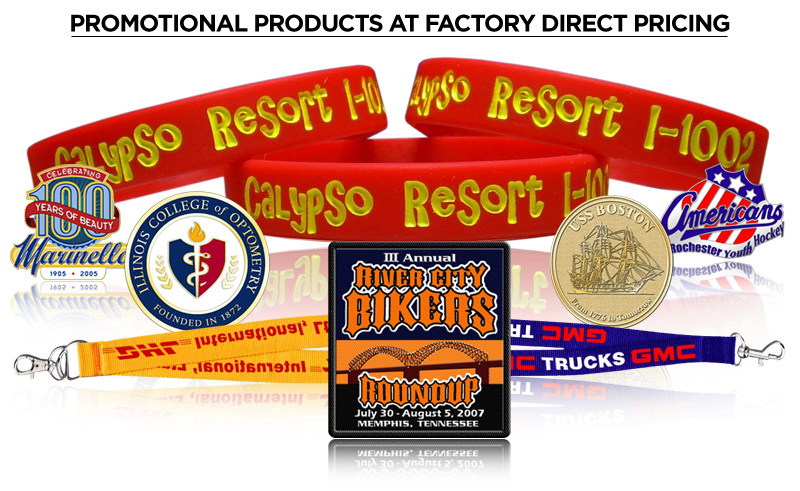 Promotional Products at Factory Direct Pricing! Welcome to 2400 Promotions. An industry leader for over 20 years, we specialize in the manufacture and worldwide shipment of specific promotional items to our clientele. We manufacture Custom Lapel Pins, Custom Trading Pins, Custom Challenge Coins, Medals, Award and Recognition Pins, Custom Silicone Wristbands, Custom Silicone Key Chains, Silicone USB Drive Holders, Vinyl Wristbands and Bracelets, Custom Neck Lanyards, Custom Embroidered Patches, Custom Embroidered Labels and Emblems and Custom Non-Woven Bags. We employ a factory staff of over 200 workers at 4 locations and ship all products directly to the customer via Overnight Air as a standard inclusion in ALL of our product pricing! We employ a graphic design staff capable of completing any customer requested design usually within an hour. From our corporate offices in the suburbs of Atlanta, Georgia, our clients are assured of clear, accurate and timely communications from our highly trained staff of knowledgeable professionals who monitor the progress of orders as they migrate through production and delivery. Samples: We can send samples. Here is our sample policy: Please provide us with your UPS or FedEx account number. We will ship samples via Overnight Delivery using your account information. Samples are randomly selected and may not be of the color or type that you have requested. Please provide ASI, PPAI or other promotional products industry membership affiliation to take advantage of our pricing and services. Please contact us if you are a retail customer and wish to contact a member of our dealer network. For your convenience we have made available printed informational marketing materials that are available for your usage and/or distribution. This information is in electronic format in the form of downloadable PDF files. Click here to access these files. We invite you to browse the pages of our informative website and give us a call on our Toll Free Number at 888-257-7216 or email us at [email protected] or fill out our Free Quote Form. A member of our staff is waiting to assist you!